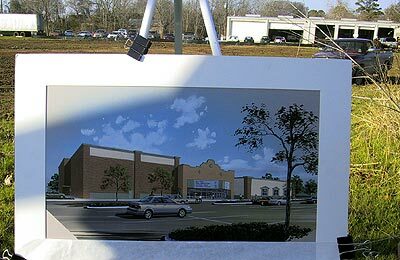 Many new buildings are being built in Bastrop, including a new Entertainment Center, a new enlarged H.E.B., and others as shown below. 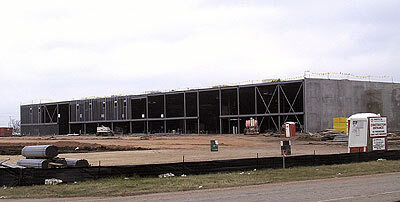 Many more structures have been planned, and will be shown here as they are built. 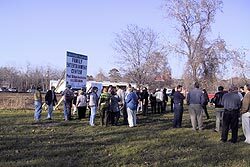 An exciting ground breaking was held Friday January 31, 2003 for the new 46,620 sq. foot entertainment complex that will be located at the NW corner of Loop 150 and State Highway 95. Bastrop's Chestnut Square Family Entertainment Center will initially house 4 state of the art movie theaters with stadium seating for 580 persons, 16 lanes of bowling with automatic pin setters and electronic scoring, a 3,755 sq. foot kids' arcade (with Pizza), a 2,000 sq. foot arcade complete with electronic video games, a 5,000 sq. foot multi-purpose community meeting room, and a centralized food court. Construction has begun and the complex is scheduled to be open this summer. Discussing plans for the new entertainment center. 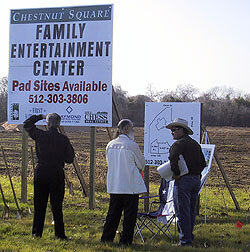 A drawing of the future Bastrop Chestnut Square Family Entertainment Center. 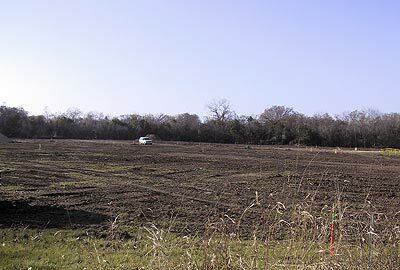 The future site of the Bastrop Chestnut Square Family Entertainment Center. The new 91,000 sq. foot HEB Grocery is set to open in May 2003. The new store will be across the street from the store's present 50.000 sq. foot location on Hasler Boulevard and Texas 71. The 15.6 million dollar project will add 75 additional employees to their store. The larger store will bring area residents new services plus many expanded services of those previously offered. Some of these expanded or new services include: drive through pharmacy, full-service meat and seafood case, coffee bar, baby care department, expanded deli and bakery with seating for in-store dining, larger product and service offerings in groceries and other departments, and 22 checkout stands. Also in the plans on the new HEB site is a 30,000 to 32,000 square foot L- shaped shopping center. 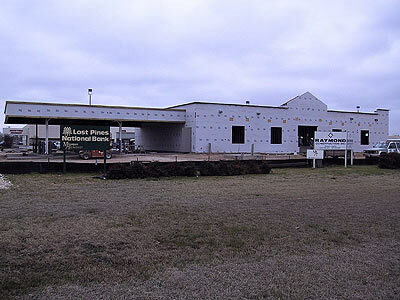 To allow for the new HEB project, the present Lost Pines National Bank will be torn down and is being rebuilt (as shown above) on the lot in front of the present HEB building on Highway 71 and Hasler Boulevard. The new 6,000 square foot building will replace the current 2,400 square foot building. It will include expanded office space and motor bank facilities. Also being relocated is the O'Reilly's Auto Parts Store. 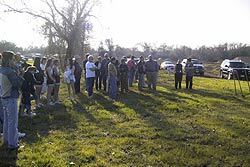 It will be located just west of its present location on Highway 71. 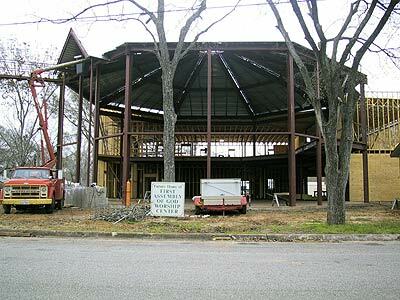 Construction is underway for a new worship center of the Bastrop Assembly of God Church on the corner of Pecan and Austin Streets. Look for the new construction at the Bastrop County Court House complex! Details later.